Every year, when Apple introduces a new version of the iOS, iPhone owners must ask whether the new version is compatible with their device. The answer can lead to frustration, especially for people who own older devices or if the new OS introduces a lot of cutting-edge features, as iOS 7 did. IOS 7 was a divisive release in some ways. While it added hundreds of compelling new features and bug fixes, it also brought with it a completely redesigned interface that caused a lot of discussions and some distress. Because it was such a big change, iOS 7 met with much more initial resistance and complaint from users than most OS updates. On this page, you can learn all about iOS 7, from its key features and controversies to its release history to the Apple devices that are compatible with it. iPhone 4S does not support: Filters in Camera app or AirDrop. iPhone 4 does not support: Filters in the Camera app, AirDrop, Panoramic photos, or Siri. Third-Generation iPad does not support: Filters in the Camera app, Panoramic photos, or AirDrop. iPad 2 does not support: Filters in the Camera app, Panoramic photos, AirDrop, Filters in Photos app, Square-format photos and videos, or Siri. Apple released 9 updates to iOS 7. All of the models listed in the chart above are compatible with every version of iOS 7. The final iOS 7 release, version 7.1.2, was the last version of the iOS that supported the iPhone 4. All later versions of the iOS do not support that model. If your device isn't in the chart above, it can't run iOS 7. Many older models can run iOS 6 (though not all; find out what devices run iOS 6). If you want to get rid of an older device and move up to a newer phone, check your upgrade eligibility. Arguably the biggest changes to the iOS since its introduction came in iOS 7. While every version of the software adds a lot of new features and fixes a lot of bugs, this one completely changed the look of the OS and introduced a number of new interface conventions. 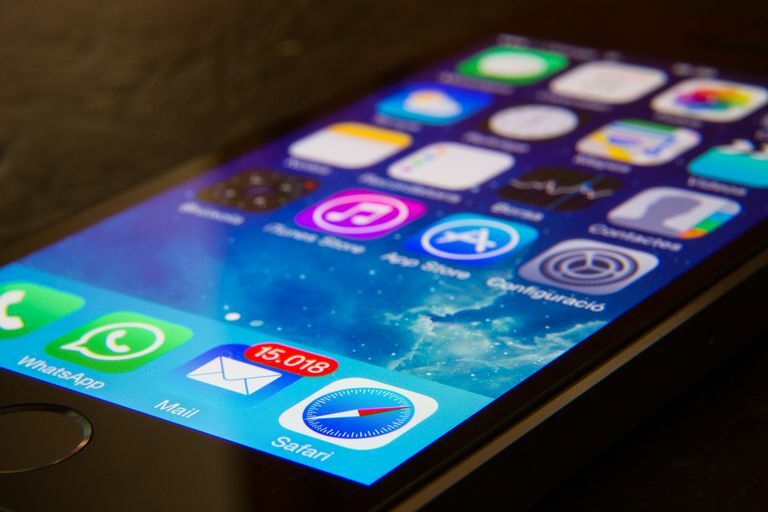 This change was attributed largely to the influence of Apple design chief Jony Ive, who had taken over responsibility for the iOS after the departure of the previous leader, Scott Forstall, in the wake of the problems with iOS 6. Apple had previewed these changes months before iOS 7's release at its Worldwide Developers Conference. That's primarily an industry event, so many end users were not expecting such sweeping changes. As familiarity with the new design has grown, resistance to the changes has faded. For many people, the complaints about iOS 7's new design were based on aesthetics or resistance to change. For some, though, the problems were deeper. The OS heavily featured transitional animations and a parallax home screen, in which the icons and wallpaper appeared to exist on two planes that moved independently of each other. This caused motion sickness for some users. Users facing this issue can get some relief. The default font used throughout the iPhone also changed in this version. The new font was thinner and lighter and, for some users, harder to read. There are a number of settings that can be changed to improve font legibility in iOS 7. Both issues were addressed in later releases of the iOS, and motion sickness and system font legibility are no longer common complaints. iOS 8 was released on Sept. 17, 2014.